* Thursday Night Press has signed two new authors. * I am in production right now on a book that I hope to finish by the end of this month. * I attended a great program on book marketing at this month's meeting of the Colorado Independent Publisher's Association (CIPA). 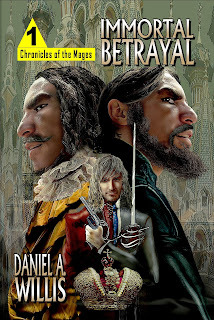 Thursday Night has agreed to reissue the novel Immortal Betrayal (cover shown), originally self-published by European royal family expert and historian Daniel A. Willis. Immortal Betrayal is a historical fantasy that follows Dano Varos, a member of a hidden branch of humanity fated with near immortality. Varos flees the 1400s Normandy of his youth only to centuries later confront a menace from his past that threatens the future of the Russian Crown. Also just put under contract is the contemporary fantasy Weird Canyon by A.M. Jordan. This debut novel follows a pair of high school buddies as they try to rebuild their lives after accidentally setting their home town in the Colorado mountains ablaze. I love Jordan's sense of the absurd, which includes Howard, an Oxford-educated Sasquatch. After an idle year following the 2011 release of Torpedo Junction, Thursday Night is on track to put out six books in 2013. 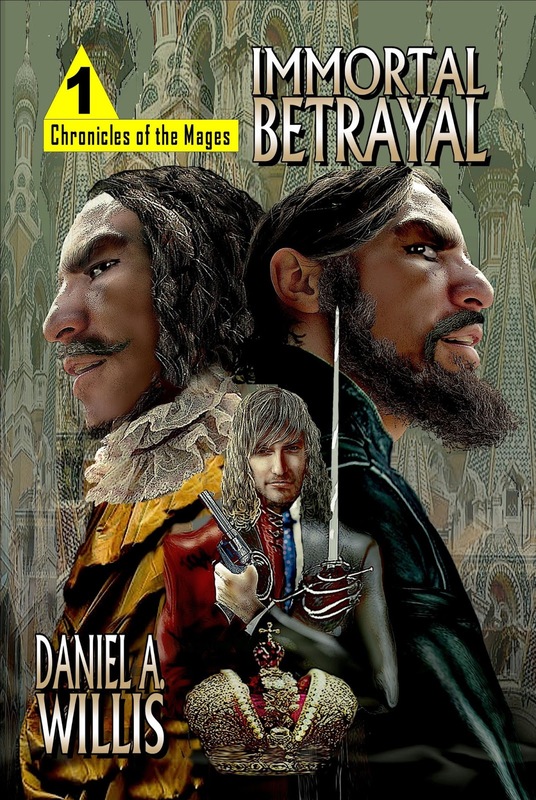 I am now in production of Immortal Betrayal, which will be ready comfortably before the promised May 15 latest release date. We've made some tool changes since Torpedo Junction. The ebooks are produced using Open Office and the Writer2Xhtml plugin. Enhacements are made using the Sigil EPUB editor. One EPUB version will be released using Smashwords Direct. The other is used to produce the Amazon Kindle version. I was using the open source Scribus page layout software for book covers, but I hope to soon replace that with Serif's PagePlus page layout software. To help promote Thursday Night's works in 2013, we are sponsoring a website, the Colorado Literary Network, to promote Colorado authors. When ready, authors will be able to list their books, blog, and post calendar events. Our hope is to turn the site into a destination for bookies who like going to author events and who want to meet local authors. Thursday Night's big challenge is marketing. Just today I sat in on several forums covering marketing using Facebook, on Amazon, and with blogs. There is a lot to digest.